Nation’s Sales Recruiting Experts Launch New Website - Treeline, Inc.
WAKEFIELD, Mass., January 28, 2019 (Newswire.com) – Treeline, Inc. has launched a new website for both companies looking to hire salespeople and sales professionals looking for new opportunities. The site offers an easy to navigate interface and resources for managers struggling to find top sales talent. 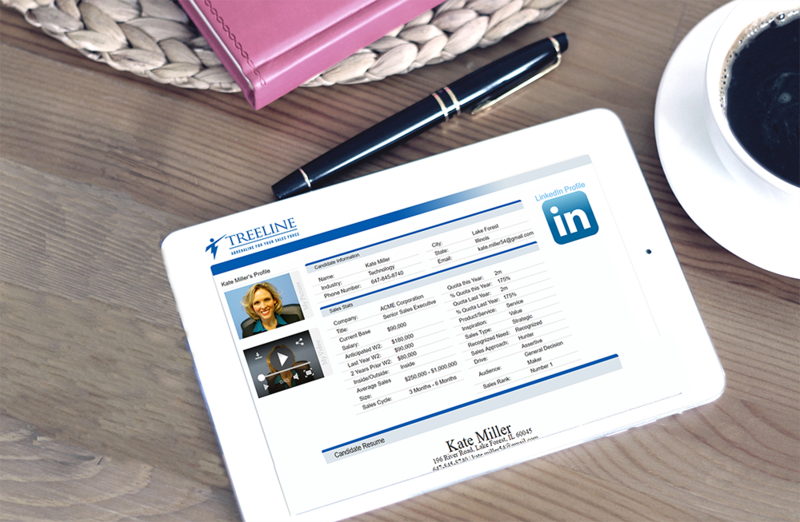 Revolutionizing sales recruiting with industry experts and cutting-edge technology is what Treeline specializes in, therefore the website needed to reflect their brand. It was important that it was an extension of their company belief’s in “doing the right thing every day,” Dan Fantasia, CEO says. “Our number one objective is to help clients and job seekers find each other,” he adds. With over 80,000 sales professionals in the Treeline network, the company offers tremendous benefits for both company and job seeker. You can take a look at www.treelineinc.com or contact us today to learn more. Treeline, Inc. was founded in 2001 and is the nation’s premier executive search firm focused exclusively on sales. Treeline is one of the fastest growing sales recruiting firms in the U.S. that has set out to revolutionize the industry. Treeline has built world-class methodologies and sales hiring technology to help companies simplify the sales recruiting process, grow their sales teams and increase revenue.